This is a rather comprehensive list, so if you’d like to skip to a particular picnic spot, click on an item below. Situated in the heart of the Magaliesberg and part of the five-star Budmarsh lodge, this charming country setting is the perfect spot for an elegant picnic for two and is open seven days a week. Enjoy a gourmet picnic basket packed by the Executive Chef on the sprawling lawns overlooking the trout dam of this former farm. Picnic treats include an assortment of locally sourced salads, cheeses, cold meats, homemade bread, sandwiches/wraps and quiches/tartlets. Order a bottle of ice cold bubbly from the estate’s award-winning wine cellar and finish off your meal with the dessert of the day, usually fresh scones with Chantilly cream and jam. For more info, visit the Budmarsh website here. 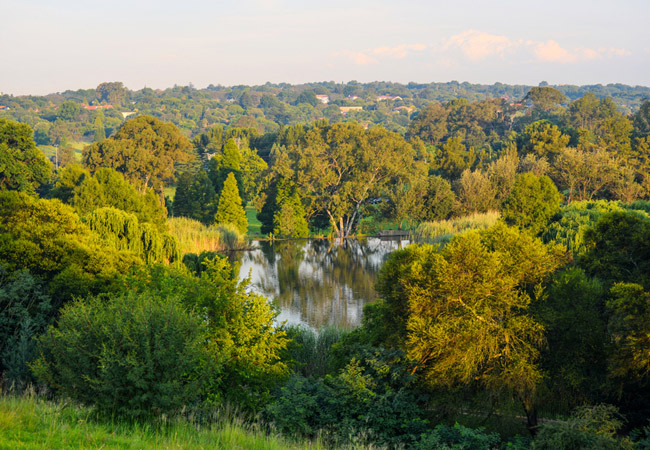 This 36 hectare green lung of Joburg, just South of Melrose Arch, is fed by the Sandspruit River that winds through a series of undulating lawns, indigenous vegetation, walkways and benches. The park is fenced and patrolled by a private security company. If you’re looking for an easy way to escape the bustle of the city, pop into the Voodoo Lilly Cafe (in the neighbouring suburb of Birdhaven) and stock up on artisan wines, cheeses, cold meats and breads for your picnic. Take the dogs along, watch the sunset over the Johannesburg skyline and don’t forget to your binoculars to make the most of this former bird sanctuary. For more info on the James and Ethel Gray Park, click here. Turn your weekend plant shopping expedition into a fun-filled day out for the whole family at Willow Feather Farm in Irene. You can indulge your green fingers and stock up on indigenous trees at their nursery, and then enjoy lunch from one of Willow Feather’s pre-booked picnic baskets. Each picnic basket contains an assortment of tasty snacks from Springbok Carpaccio to country hams and cheeses, free range sticky chicken drumsticks, freshly baked French loaf and Greek and potato salads, along with several other dishes. Round off your meal with homemade chocolate brownies and farm style koeksisters. For true indulgence, upgrade your picnic with a cape cheese, fruit and preserves board. All you have to bring is your own drinks, but the farm provides the basket, blanket and cutlery. The children will love their own kids’ version of the picnic basket, but don’t expect them to stay still as there’s lots to explore with a farmyard complete with Old MacDonald’s full repertoire and a playground. Download their picnic menu here or visit the Willow Feather Farm website here. Stonehaven is somewhat of an institution on the Vaal River for sundowners, restaurant meals and events, but what you might not know is that you can enjoy a pre-ordered picnic right on the banks of the Vaal. Presented in a large traditional picnic basket, the spread features chipolatas, BBQ crumbed chicken, petite quiches, cold meats, cheeses, crusty French bread and an array of other snacks, including finger desserts. Wine can be included at an additional cost. On Fridays and Saturdays, you can picnic into the night. For more info about picnics at Stonehaven, click here. Get out of the city without having to travel too far. The waterfall is a highlight as is the birdlife. You can even burn off some of those picnic food calories by hiking to the top of the waterfall, where you’ll get a bird’s eye view of the gardens. Don’t forget to bring a bag for your trash, as the park has a ‘Picnic-in, Litter-out’ litter policy. Please take home everything you bring in. Pets and any balls, bats, games, etc aren’t allowed as it is a conservation area. Tip: The gardens hosts a Spring Fair with thousands of indigenous plants on sale, winter picnic concerts on alternate Sunday afternoons featuring classical and jazz music, and stargazing in early September and October. 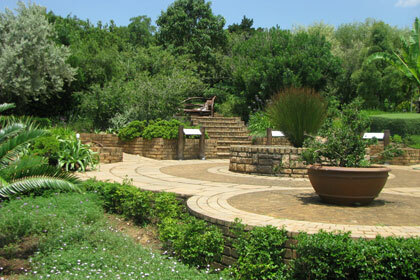 Visit the Walter Sisulu Gardens website for more info. Kievits Kroon is a 16 hectare upmarket country estate near Pretoria, with superb leisure facilities. 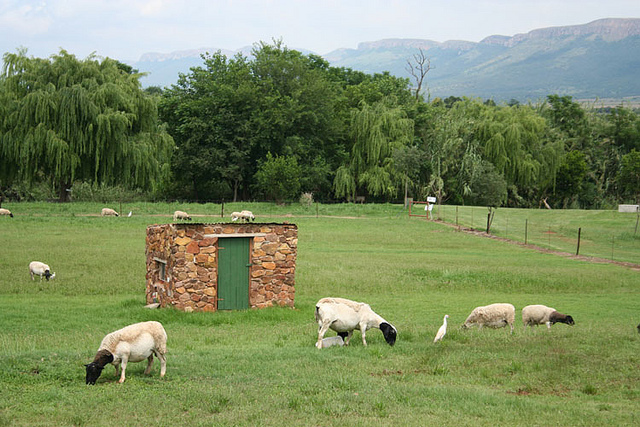 And while only 45 minutes from Joburg, you’ll feel like you are in the countryside. Take a stroll around the immaculate gardens and dip your feet into the pool. There is ample space for you to set up your picnic, so there’s no need to worry about crowds. The gourmet picnic basket will ensure that no one goes hungry. From chicken liver mousse served with Melba toast and citrus marmalade, vegetable terrrine and branded prunes to a cheese platter featuring a selection of local and international cheeses. A showpiece of finger desserts and tartlets will satisfy your sweet tooth. Download their picnic menu here or visit the Kievits Kroon website for more info. Nestled into the river bank, tucked under a thatch gazebo and protected by a river island, you will recline in your sumptuous river boudoir, sip on Champagne and watch the river birds surf the rapids a few feet from the comfort of your lounger day bed. Each picnic spot is in a romantic and secluded setting. Lethabo Estate caters for meat eaters, vegetarians and vegans, gluten intolerant and Halaal guests. Choose from a gourmet romantic picnic, luxury romantic picnic or a boudoir romantic picnic. For more info and to find out price and availablity, click here. Thaba Eco Hotel hosts bush picnics which are available upon request. Choose from sunrise or sunset game drives and then stop for a picnic. Exclusive couple game drives are also available. There are 4 different baskets for the adults to choose from and 1 for kids. Each basket includes drinks and comes with dessert. Choose from a breakfast, brunch, lunch or dinner basket. Cost: prices start at R380 and you can choose from breakfast, brunch, lunch and dinner baskets. When: depends on when you book your drive. Click here for times. Visitors enjoy its special gardens – the Shakespeare Garden, the Rose Garden, the Herb Garden, a Hedge Demonstration Garden and the main arboretum, which houses family groupings of plants and trees of South Africa and the rest of the world. Pick a spot on the lawn next to the dam and if you’ve brought more than you can carry, there are porters available to assist. Note that there are no dustbins provided, so you need to bring a bag for your refuse. Tip: remember to check if there are any events on as this has become a popular concert venue. For more info on Emmerentia Dam and the Botanical Gardens, visit the website here. This spectacular 25 hectare country estate is situated on the banks of the Crocodile River and with 1.2 km’s of river frontage is nestled amidst majestic indigenous trees and magnificent rose and lavender gardens. The picnic spots are very private and are set up with garden tables and benches, picnic blanket with cushions and an umbrella upon request. Picnic baskets are packed per couple and offer standard, vegetarian and children picnic menus. When: Tue-Fri, 07h00-20h00; Sat: 07h00-00h00, Sun and Public Holidays, 07h00-17h00. Picnics are only available from Wed – Sun. For more info on picnics at Toadbury Hall visit the website here. Situated at the foot of the Magaliesburg Mountains, Van Gaalan offers accomodation, venue hire and picnics. Enjoy a relaxing picnic on the banks of the Skeerpoort river. Be sure to visit the Farm Shop which offers amazing cheese, as well as a selection of wine, preserves, souvenirs, a range of Dutch favorites, sweets, odds and ends. Tip: try out their trails where you can go horse riding, hiking, birding, mountain biking and trail running. Day permits for the Skeerpoort Trails are available at the farm shop. For more info, visit the Van Gaalen website here.